You’ve got to hand it to the Dutch, they come up with some great ideas – from coffee shops to the Philishave, to now glow in the dark roads. A new ‘Smart Highway’ is going to be developed in the Netherlands with special foto-luminising powder making extra lighting unnecessary. Charged in day light, the Glow-in-the-dark road illuminates the road at night for up to 10 hours. In addition, the road will feature Dynamic Paint that becomes visible in response to temperature changes. For example, images of ice crystals can become visible on the surface of the road when the temperature drops below a certain point. 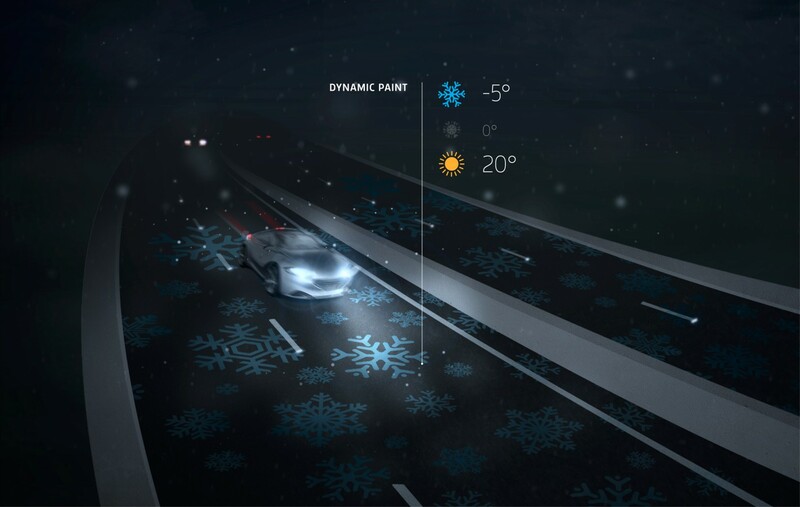 Furthermore, the design firm Studio Roosegaarde, that came up with these concepts is looking at other ideas such as interactive lights that switch on as cars pass as well as wind-powered lights within the next five years. These ideas are moving beyond concept stage next year in 2013 when the first section of highway in the Netherlands featuring these new concepts will open to the public during the Dutch Design Week. From the drivers point of view, road design and construction hasn’t changed very much over the years compared to advancements in vehicle design and technology. These new ideas will help bring some new thinking to how drivers interact with the millions of miles of pavement that are driven on every day. This entry was posted in Technology and tagged glow in the dark road, Netherlands design, Studio Roosegaarde by northredline. Bookmark the permalink.